When you think of Canada as a holiday destination, you probably think of vast national parks, full of wildlife and incredible scenery. You might picture the buzzing cities of Vancouver and Toronto. Maybe for you it would be about the lakes, or the ski resorts. But have you ever thought of Canada as a hotbed of dinosaur tourism? Best for younger children, think Jurassic World with all the awe, but none of the fear! Set in a pre-historic 40-acre reserve, visitors can see life-sized animatronic dinosaur models as they join safari guides on the ultimate dinosaur discovery adventure. Dig for ancient remains, amongst plants that date back 250 million years. There’s a playground, picnic facilities, and a dino-themed miniature golf course. And you can even take a ride on a dinosaur – if you dare! 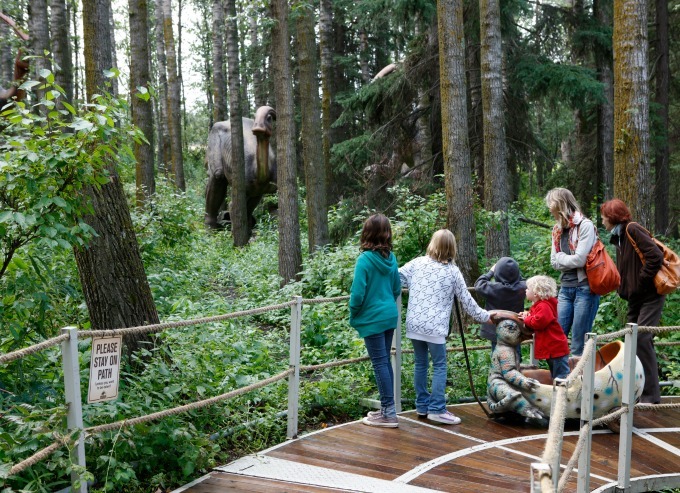 Prices for Jurassic Forest start at $13.33 for adult admission, and $7.62 per child. Family passes for all facilities start at $64.76. The whole park is accessible for wheelchairs and pushchairs, and snacks are available, though visitors are welcome to bring a picnic. Best for children age 6 and up, but dinosaur fans of all ages will find something to delight them at the Royal Tyrrell Museum in Drumheller. Alberta has one of the largest concentrations of fossils in the world, and the museum, is home to tens of thousands of them, on display in rotation. 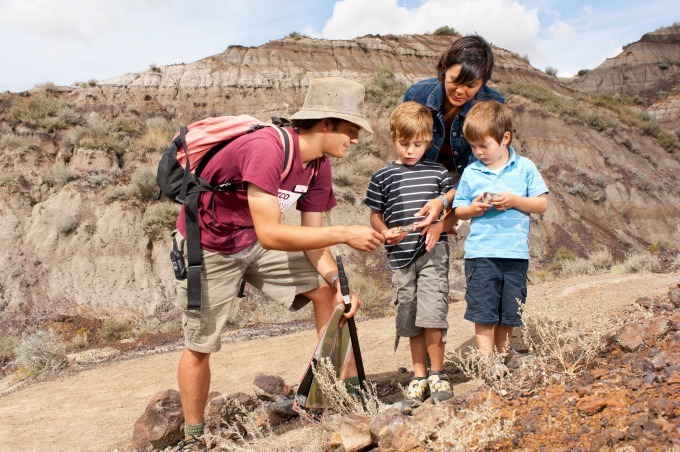 The museum runs programs of palaeontology discovery over the summer too; imagine your child’s face as he searches for fossils and finds real dinosaur remains on a Dinosite hike. Children over 4 can learn fossil-casting and make their own replica fossil for $10, and older children will love the experience of excavating fossils in a realistic quarry, using professional tools and techniques (cost $15). The museum even plays host to a brand new species of Pentaceratops, recently discovered by scientists, who have nicknamed it Hellboy. You’ll have to visit to find out why! A 90 minute Dinosite hike is suitable for ages 6 and up, and costs $10. Children under the age of 12 must be accompanied by and adult. Brand new for 2015 (opening in the Autumn) the museum promises to deliver experiential learning for all dinosaur enthusiasts, and is named after the renowned Canadian palaeontologist who inspired characters in Jurassic Park. With experts on hand to explain why it can take a decade to dig up the remains of a dinosaur, and to describe all the dino species that didn’t make it into the movie, this centre for innovative palaeontology study promises to be really exciting, and a must if you’re looking for dinosaurs in Alberta. Keep an eye on the museum website for updates on opening. And if it’s just your kids who have a dinosaur obsession, you needn’t worry. 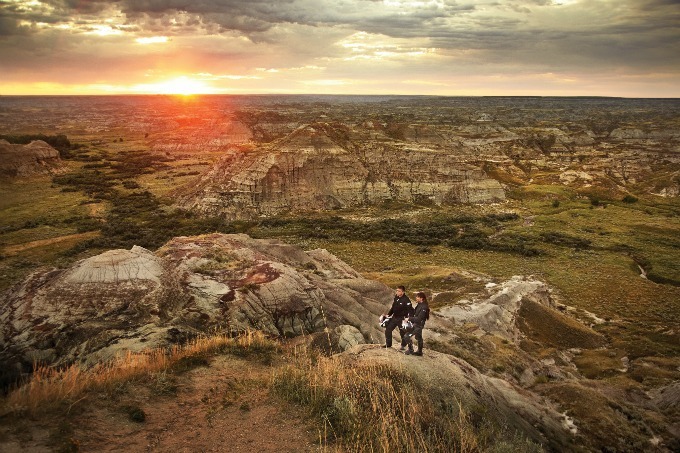 Alberta is a stunning landscape full of incredible experiences for mum and dad too. Check out Helen’s road-trip itinerary, explore the opportunities for wonderful hikes and water activities, or follow #AlbertaDinosaurs on Twitter for more ideas to fill an epic family holiday in Alberta. 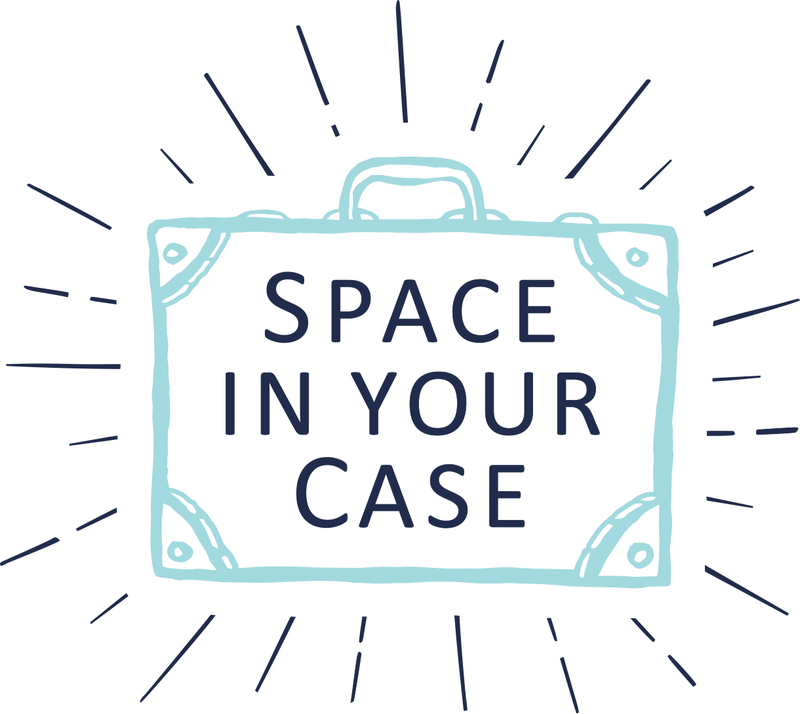 Space In Your Case are working with BritMums and Travel Alberta highlighting the region Alberta as the place to go to make your dinosaur dreams come true. I have been compensated for my time. All editorial and opinions are my own. Visit Travel Alberta for more information. I love your age guidelines for each of these dino-thrills. I was surprised too to learn of that Alberta has such a high concentration of actual dinosaur fossils, plus the opportunity to actually DIG! I have to time the release of this news to my kids because once they hear, they will *demand* we visit. Thanks so much for taking part in the project!